Selling your home can take up a lot of time and energy. Showcasing your home to prospective buyers, advertising, negotiating, preparing a mountain of paperwork, etc. Now try doing that and buying a new home at the same time! While this may seem like a monumental task, some shrewd and careful planning can make the process smoother than you think. 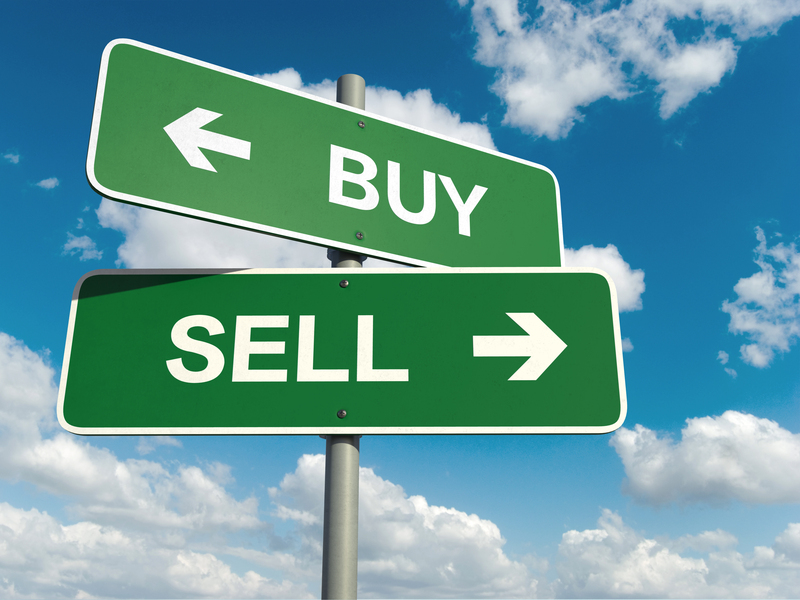 Is it economically feasible for you to buy and sell a new home at the same time? You should review your income, expenses, job stability, level of debt, and credit rating, among other things. Given the difficulty of the undertaking, you should ensure that you have the financial flexibility to weather any contingencies that might arise. Buying and selling a home at the same time is a process that requires careful planning and coordination. It's unlikely that you'll be able to sell your home at the exact same time that you purchase a new one. Homes take time to market and sell, financing is not always easy to obtain, the economic outlook may turn bleak, depressing home prices, and a host of other unforeseen issues may emerge. Keep a close eye on the economy: What is the average number of days properties are on the market? Are prices moving up or down? Is the inventory of properties on the market increasing or decreasing? All of these questions can help you determine whether you should buy first or sell first. In general, if your research suggests a buyer's market, sell first. If the market favours sellers, buy first. Your personal financial circumstances should also be factored into your decision, as there are different costs associated with both scenarios. The final step in your research includes an honest, objective appraisal of your home. It's imperative that your optimism doesn't cloud your judgement; ensure that you're reasonably conservative in your expectations. The rules for obtaining a mortgage for your new home still apply. The first step to take is to obtain pre-approval. You should also consult with your lender about what additional documentation you'll be required to submit. Keep in mind that if you decide to buy first, you could be paying dual mortgages for a certain time; this can negatively skew your debt-to-income ratio, making it harder to qualify for a new mortgage. There may also be penalty fees you'll have to incur when you pay off your existing mortgage. Your current mortgage may be portable to a new property, so ensure you speak to your lender about this option. When you port your mortgage, you transfer your existing mortgage from one property to another, with your current rate and term intact. This may prove to be a beneficial option, especially if the interest on your current mortgage is very low. You may also be able to blend the rate on your existing mortgage with the new one, possibly avoiding penalty fees associated with paying off your mortgage early. Bridge financing - It's very possible the possession date of your new home occurs before the closing date of your old home. As a result, you may not have enough cash to cover the down payment, land transfers taxes, legal fees, etc. Your lender can provide financial aid with bridge financing, which is a short-term loan to cover these costs. Contract contingency - Depending on market conditions, it may be possible to incorporate a contingency into your contract that requries the successful sale of your exising home before purchasing the new one. Rent-back agreement - A potentially good option if you'll be selling first and haven't secured a new home yet. A rent-back agreement allows the seller to "rent" their old home after they've sold it. The lender and buyer agree that the seller will be able to live in the property for a predetermined period of time. The benefit to the buyer is the ability to collect rental income or negotiate a more favourable price, while the seller is relieved of the stress of purchasing a new home right away. Although buying and selling a home at the same time comes with many challenges, you can alleviate much of the stress and keep unpleasant surprises at bay by crafting a logical and thorough plan. Assess your financial situation, research the market, schedule carefully, understand your financing options, and plan accordingly for contingencies.